FAQs / What will my child learn? With regular use, your child will become proficient in chess. 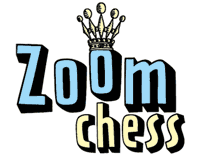 ZoomChess will train your child through 1600+ rating (US Chess Federation), which is the level of a competitive high school tournament player. Discovered check is the dive-bomber of the chessboard.